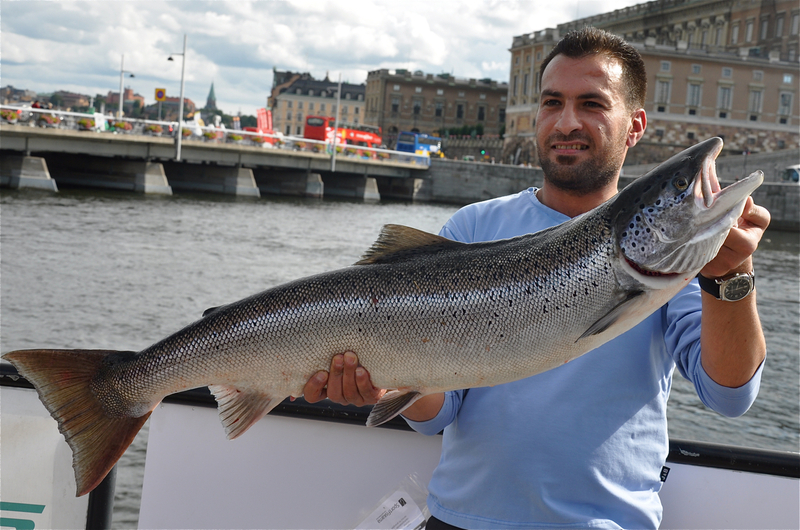 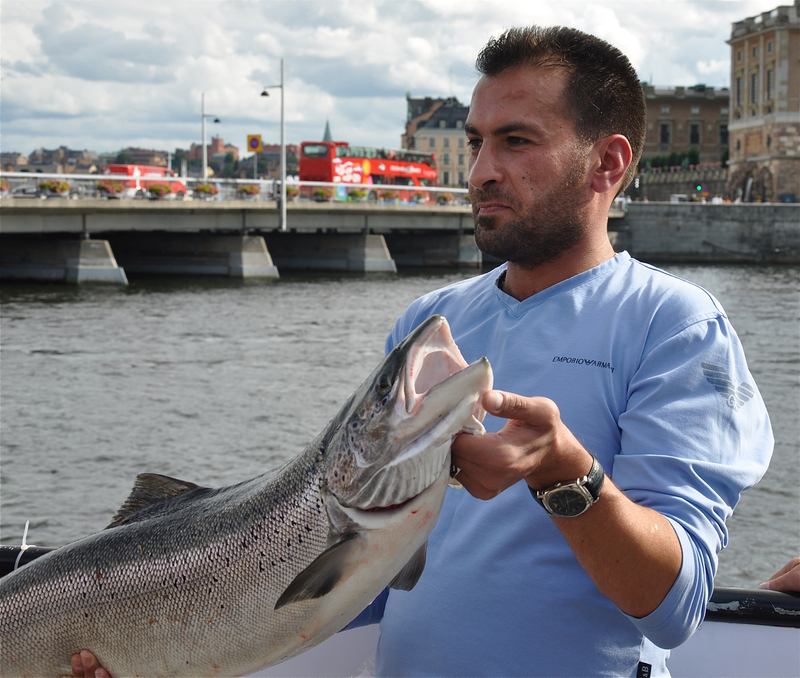 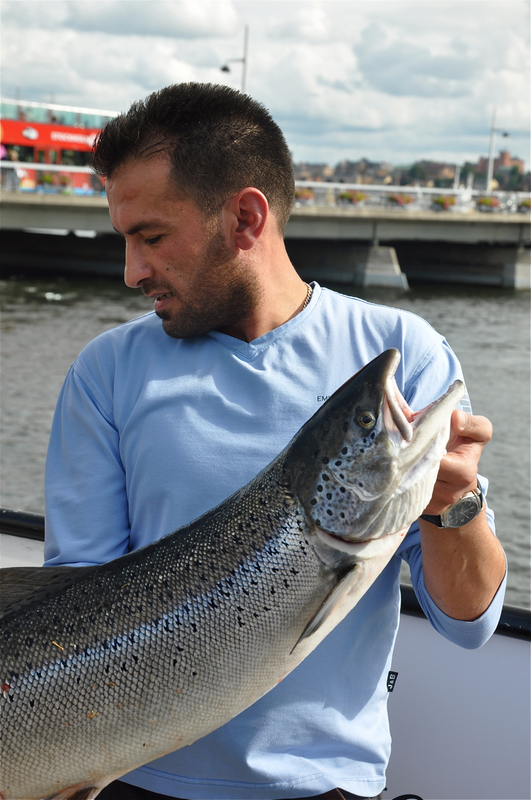 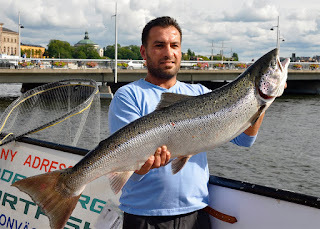 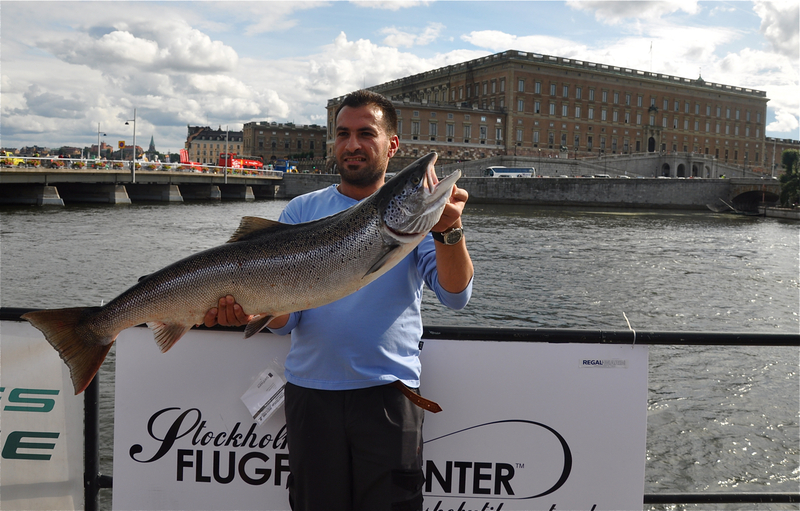 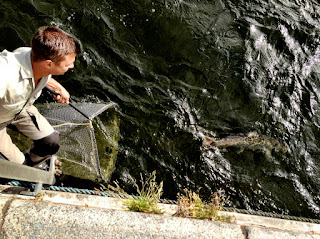 Urban Salmon Fishing; Stockholm City, Sweden. I was down on Skeppsbron today checking the gulls for rarities among them, a cracking sunny day it was too! After a while I wandered up tp Stockholm Strommen, passing by the crews setting up for the Triatalon World Championships. 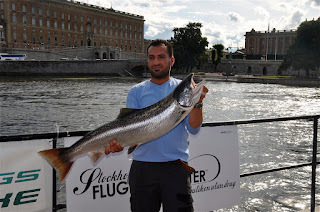 On arrival at Strommen it was apparent there were a few fishermen around and the reason became clear, the sluice gates have been opened for 24hrs. 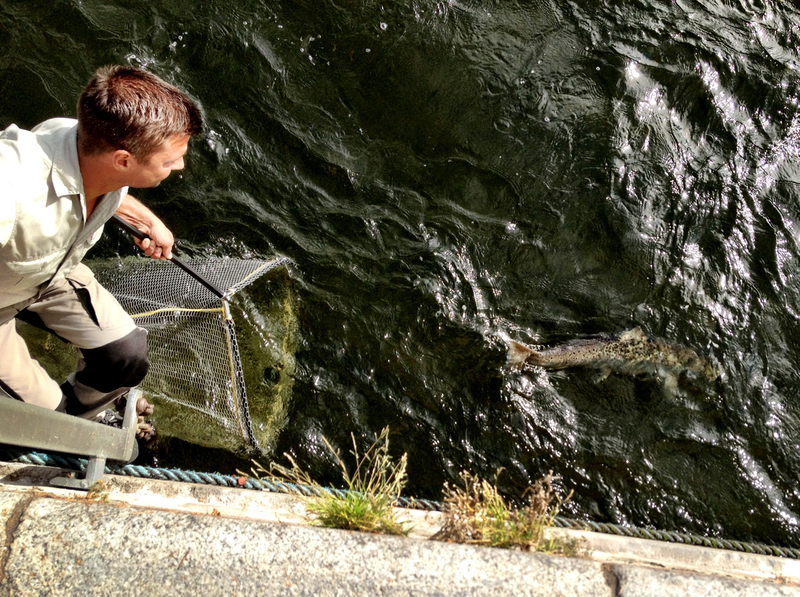 on account of the triathalon! 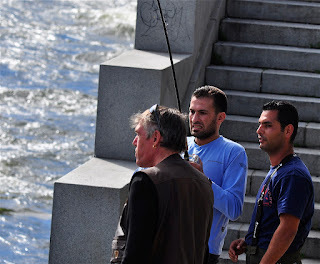 I watched for 30 minutes as around eight fishermen fished trot leger flies across the current in wide arcs, before there was a hook up, a what a fight it gave it's captor! 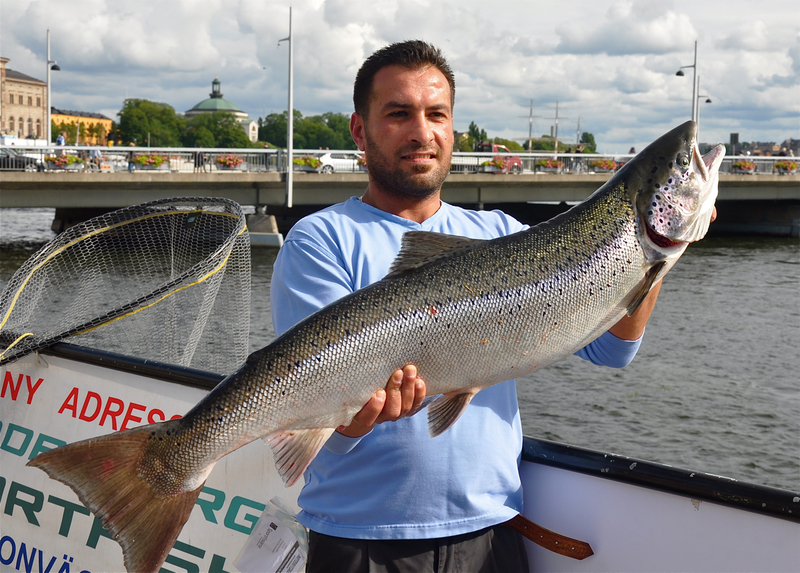 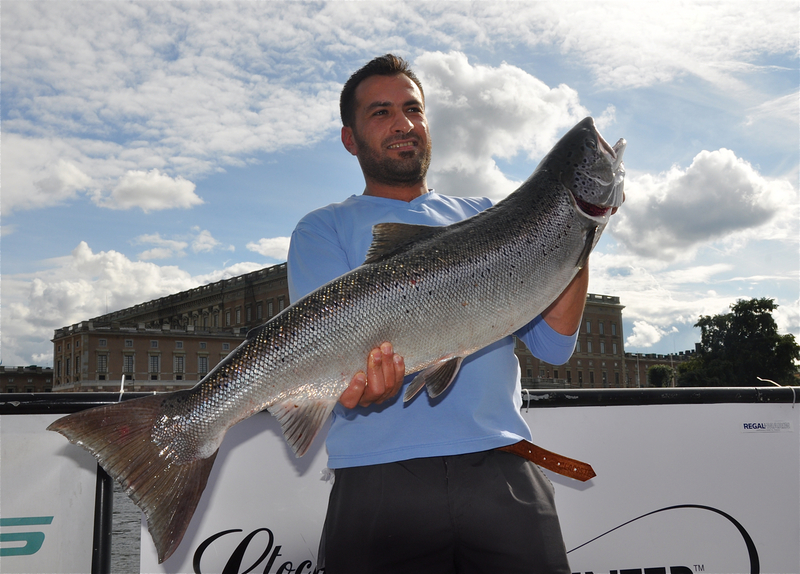 This cracker weighed 22lb., a pristine fish in perfect condition.